Take your first step into a world of automata, magic, and alternative history! The year is 1764, and, for the first time in nearly two centuries, the Spanish forces have been repelled from the great walled city of Manila. While the Spaniards are quick to lay the blame at the feet of the invading British and their clockwork machines, the secret to the success of the Filipinos may lie closer to home, with an ally that is both ancient and new, mythical and mechanical. 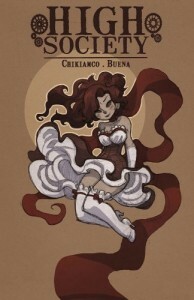 “High Society” is a stand-alone steampunk comic book in the “Wooden War” series. I’m really all for supporting local authors and content, so when Honey told me that they will be releasing Paolo Chikiamco and Hannah Buena’s High Society under their publishing company, I bought it without blinking. Local content for the win, plus I really enjoyed Kataastaasan, so I was excited to read more about this alternate steampunk world. Thing is, High Society is really the same as the Kataastaasan I read a year back…but also a little bit different. High Society is a stand-alone comic set in Cebu City circa 1770, and tells an alternate history of the Philippines’ struggle for independence from Spain. 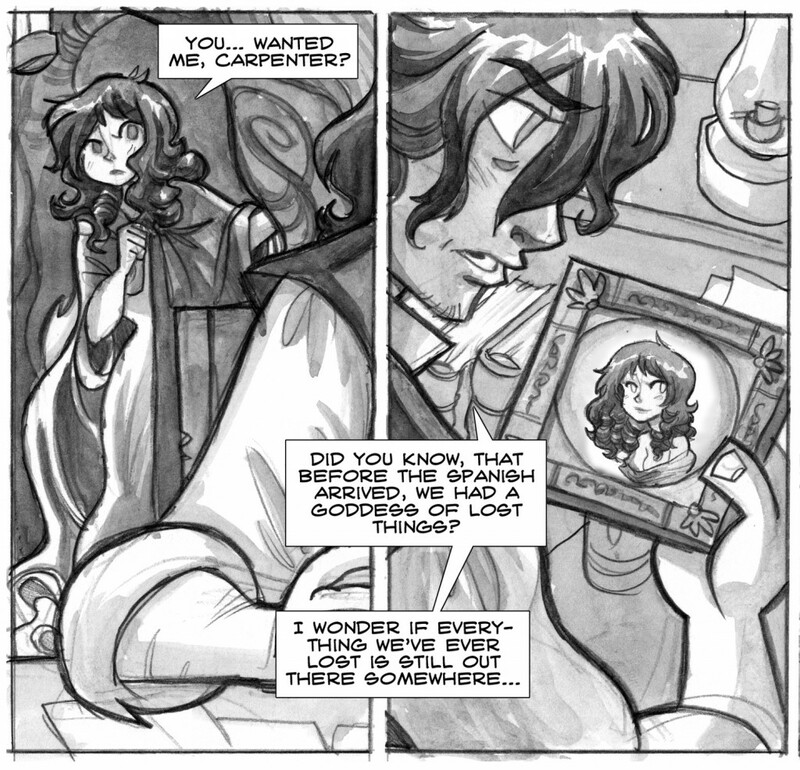 Here we meet someone called “The Carpenter” telling our main character Rita about the location of a treasure that they need to recover. Rita goes undercover in a party with the Spanish colonizers to retrieve the treasure. Now you’d think Rita is just your normal undercover agent and all, but then she’s also not. I won’t reveal what the twist is, but I remember I was pleasantly surprised when I found out about it on my first read. Even if I knew about it now and it kind of lessened the surprise, I really liked how it was illustrated and revealed this time, and I think it’s the part of the story that hooks the reader the most. I think the improvement on this one compared to the ARC I read was how Rita was given a more human aspect. There’s a hint of romance in the story that made me smile, and it made me want to know more. This version also had a little more background on how Rita came to be as well as why their mission was important. I’m not a big judge on artwork, but I liked how it had that dark and authentic Philippines in Spanish era vibe. So yeah, I liked this one on the second round as much as I liked it during the first. Too bad it’s a stand alone, but I kind of have high hopes with what they mean with the “Wooden War” series. More please? :) High Society is a creative take in Philippine history, and anyone who’s a history buff, or at least interested in alternate histories and steampunk should pick this up. This is a great write-up and it’s really promising to see what directions Filipino alternate history can take. Does it seem like there will be followups, or that the universe will be open to expansion and exploration by other writers? Hi Bryan! There will definitely be more stories, though I’m not sure yet how many will be told in comic book form, and how many in straight prose. 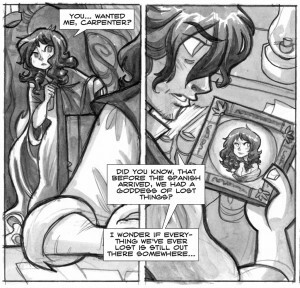 The immediate plan is that Hannah and I are going to try to do a four part comic series next, set in the same world–that’s “The Wooden War”. That’s great news! I’ll really be looking forward to it. Over here, my next step is to put together a good proof of concept for the community so they can see what Steampunk would look like from a Lao perspective. Sounds like a great story idea. Looking forward to reading it and telling others about it. I don’t need a copy! I just wanted to say thanks for the review!! I would enjoy reading this!